I left my cell phone at home, and didn’t recall bringing my Lunch Box. I nearly missed my bus. I tried opening my mail, Alas!!! It says “Wrong Password… Try again”. What’s wrong?? Nothing was going well today. “Was it really going to be my Bad Hair Day…?” I whispered to myself. I gazed around and looked for someone to talk to. Just then my eyes were on an orange envelope lying in my unzipped bag. My hands were faster than my thought. Quickly I reached to the envelope. The address clearly says it was for me. Actually nothing can excite me than receiving a letter and going through it. I was just a second away from opening it when a shadow appeared in front of me and found myself talking to the stranger. I left the letter back in my bag unopened. It was a week ago I received a letter. In the rush for some work I forgot to go through it. The ray of summer sun was brightly peeping through my bedroom window. It was Sunday and it seemed a bright day. To the left of my pillow, my phone was beeping. I was awaken by a call from my sister. After attending the call for few minute I closed my eyes to continue my unfinished dream, but nothing appeared after the next sleep. A thought kept me wondering, I just wonder what was in that envelope and who wrote to me…. everything was unexplained. I wish to get back to that dream and know what was in that envelope. Some time I wish if we could record our dream. “Eating ramen when you have everything in the world, drinking soju at an odd hour out of depression, leukemia disease at the end and bone marrow transplant, a holiday in Jeju Island, falling for the person you hate at first sight, the beautiful Seoul City…” This is what a K-Drama (Korean Drama) has in it. The effect of K-Drama is so powerful that it has unlimited fan following and so are we. 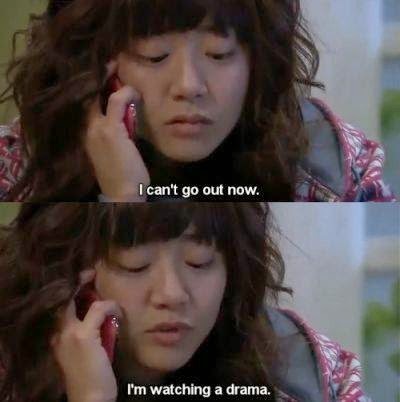 Every morning we get up saying “not again”… the sleepless night watching Kdrama has become a usual routine. The 16 long episodes take almost 2 days and a night to complete. The swollen and teary eyes, the dark circle under eyes are all side effect of drama. We are so deeply into K-Drama that now our usual conversation includes Kdrama and whats next in our list. “100 days with Mr. arrogant”was the first drama I have watched with my friends. It is always so much fun watching with your friends. As of now we are done with most of the drama and nothing can beat these three dramas; The City Hunter, Heir and the very latest My Love from the star. Those three are a MUST watch dramas. Back then autumn in my heart; a very sentimental family drama melted our heart and still it is well remembered. Kdrama always remind us of the Beautiful Seoul. A vacation in Seoul with your friends is a perfect idea to celebrate your fondness for kdrama. I can’t wait to visit Seoul one day with my besties and hope that day come soon. Tweety & Xoonam Pack your bags and lets Go to Seoul!! !